We now have some of our Floor Sanding Video's on our new You Tube Channel take a look and let us know what you think. More Video's will be added in the near future. Smith & Rodgers Aquacoat XTRA is a waterbased lacquer that is used to seal wooden floors. 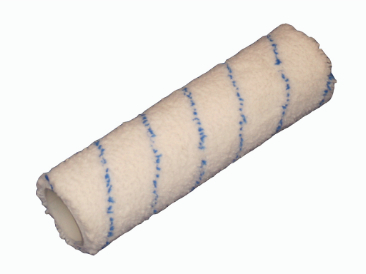 It offers added protection compared to Aquacoat SP. It is primarily used in commercial environments that are taking heavy traffic such as nightclubs, dance floors and gym floors. As a floor sanding professional, when you come to use a product that you haven't used before, even though that product is known to you and has a good reputation, you are always slightly nervous about using it and today was no exception. The project we were working on was a fairly small one, around 20m2 in all with a smallish Entrance Hallway and a Reception room. 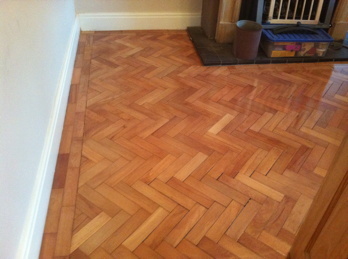 The material was light Cherry Parquet Blocks which ran through from the Hallway into the reception room and was a little gappy in appearance, our clients didn't want the gaps filling as they liked the ''lived in'' look. We sanded off and prepared the floor to our usual high standard, the 120 grit finish was particularly smooth in this instance and did look superb. After the prep work was finished the areas were thoroughly vacuumed and then tack clothed as well to remove any fine residual dust and debris. 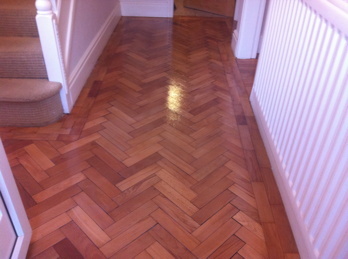 For the first coat on this parquet floor we used the rather excellent Junckers Baseprime to give a lovely warm natural colourization to the parquet and also to protect the subsequent coats of lacquer from any possible contamination. The lacquer system for this project was 1 coat of Junckers Baseprime followed by 2 x coats of Aquacoat Xtra. When we first poured out the Aquacoat Xtra onto the floor, it did look a little yellowy in appearance and also a little thick in consistancy as well...this is nothing to worry about at all as it is a slightly thicker formulation than other manufacturers, but as soon as we started to cut in and properly work the product it very quickly became apparent that we were using a top of the range wood floor finish. The product worked easily and covered beautifully leaving virtually no lap lines at all, reworking was minimal, just another rub over with the 4" foam roller we were using to cut in and any proud areas of lacquer were gone leaving a lovely even and clean finish. For applying the Aquacoat Xtra to the main areas of the floor we used a new 15" medium pile roller, we then poured out an amount of product onto the floor to apply directly, the product sat nicely on the parquet and rolled easily and evenly to cover the floor very nicely indeed, the product leveled out fairly quickly as well leaving no lap lines whatsover or any "orangepeel" effects in the lacquer - very impressive! When the first coat of lacquer had dried properly, visually the product had a crisp, clear look to it meaning the beautiful grain structure of the wood shone through, and we thought the Satin lacquer we were using had the right level of sheen. Our clients loved it. We found the drying times were quite swift, well under the 2 hours per coat that the manufacturers say is the norm, but the house we were working in was very warm to be honest so that will of helped a lot, we applied the 3 coats overall in under 4 hours which is good for any product application. In summation the Aquacoat Xtra is clearly a top notch formulation, being easy to apply, quick drying and having good chemical and abrasion resistance qualities as well, this product is a real rival to the ''big boys'' of the wood floor lacquer world - We like this Lacquer ... We like it a lot. Price wise, this product costs roughly the same as Bona Mega and Junckers Strong, two of the market leading floor lacquer products, and in our opinion is just as good as them. The coverage is also good, on this project we acheived a coverage rate of around 12 m2 per litre of Aquacoat Xtra. Smith and Rodger specify an application rate of approx 10-12m2 per litre of Aquacoat Xtra, so we know that we had delivered the product properly at the correct film coat depth. Aquacoat Xtra comes delivered in a 1 litre, 2.5 litre, 5 litre, and a quite large 25 litre can, and is available in 3 different sheen levels which are:- Matt, Satin or Gloss. All these finishes will look superb when properly applied and it would of course depend on the choice of the end user as to what aesthetic sheen level best suits their particular area /room/project that the product is being applied into. The above pictures are of the Reception Room and Hallway in their finished condition just after the 3rd and final coat of the Smith & Rodger Aquacoat Xtra had been applied, the floor colour of the pictures looks a little different, but it isn't, its just that the lighting in the Hallway was quite poor, whereas the Reception room had lots of daylight coming in through the front window. *NB* Woodfloor-Renovations would like to thank Mr Ian McAslan, Smith & Rodger Managing Director for his help and valued assistance on this project. Thanks Ian. Superior wood wetting and appearance and is comparable with solvent based varnish. Uses Primarily used in the coating of wooden floors, the product is also suitable for most interior woodwork including furniture, doors, facings, skirting etc. Ensure room conditions are warm dry and well ventilated. Do not apply if the temperature is below 13 °C and/or the relative humidity is above 65%. 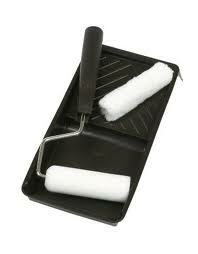 Apply using a brush, spray or lambs wool applicator (for floors). Apply at least 3 coats (more if heavier wear is anticipated). Allow the previous coat to dry thoroughly before applying the next. A light sanding between coats using 120 grade sandpaper will improve the appearance. Wash all the equipment immediately after use with cold water. Ensure the spray vessels are suitably lined or have removable plastic inserts. Please wear gloves when applying Aquacoat XTRA. Touch Dry and overcoatable - 2 hours. Full cure reached: 8-10 days. Coverage Depending on the porosity of the wood and film weight approximately 10-12 square metres per litre. Shelf Life Up to 12 months if stored tightly sealed in the original container in warm dry conditions. Store away from direct heat. Protect from frost. If using Aquacoat XTRA on a stained or previously coated surface a trial application should be made before coating the whole surface to check on suitability. Like solvent based Polyurethane varnish, wood coated with Aquacoat XTRA has a tendency to yellow with time. This effect can be pronounced where a floor is covered with rugs. The life of the coating will vary depending on the conditions of use. It is recommended that suitable barrier mats are used at entrances and that a regular maintenance schedule is carried out. Aquacoat Xtra can be applied to a wood floor in a number of ways, a floor sanding professional will use a variety of application methods depending on the size of project, but if you are looking to apply lacquer to for example a 20m2 lounge, Oak strip, a 9" roller would be perfectly acceptable, the roller refill you need should be a 'medium pile' with the pile length being approx 8mm, a decent quality roller will have that information on the packet, use an inch and three quarter roller and cage, these are more robust and just better than the cheaper inch and a half alternatives. REMEMBER: ALWAYS follow the manufacturers instructions and read them carefully.